Calling Artist and Book lovers of all ages! The Neosho Arts Council is holding a bookmark design contest for ages 6 to Adult. Prize money will be awarded in three different age groups. Click here for details and to download an entry form. Calling all Kid and Teen Artists! 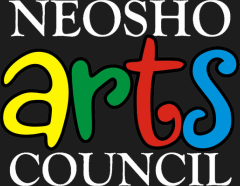 The Neosho Arts Council is now accepting entries to the ArtSquared Kids & Teens Art Contest to be held during the Neosho Fall Festival. Click here for details and to sign up.